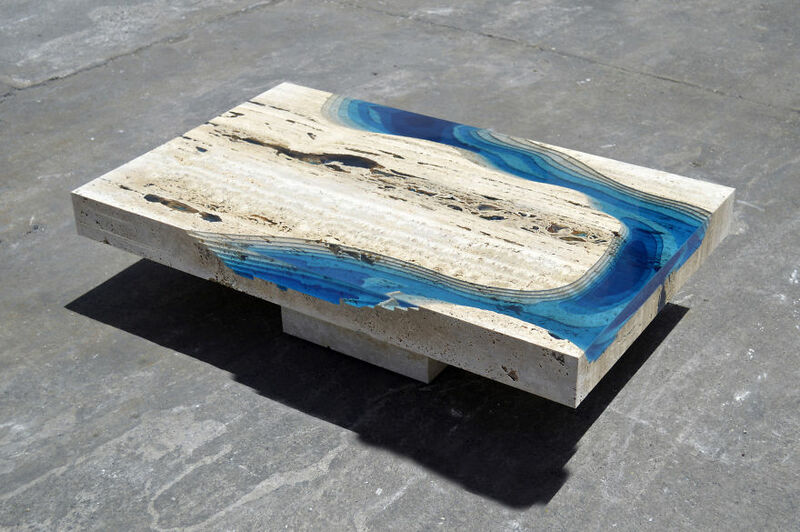 La Table is a design project that aims to give simple pieces of furniture a creative twist in order to transform them into unique artistic statements that can really reflects their owners. 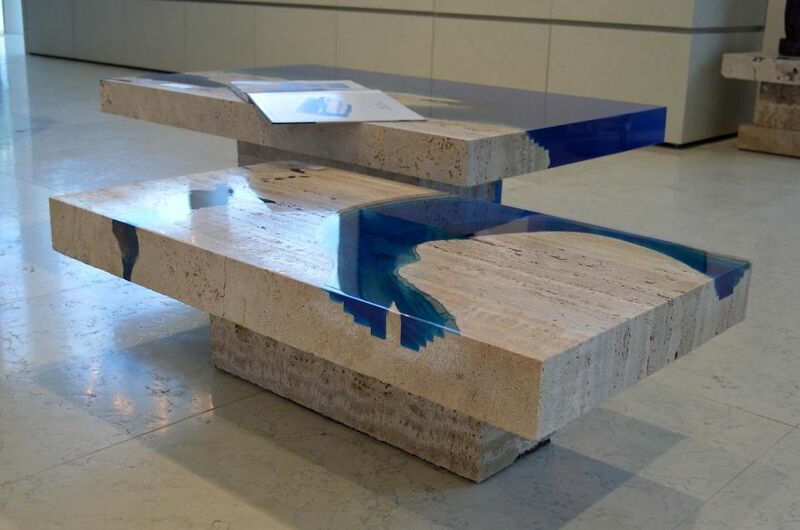 “To achieve this, “LA TABLE” must have a soul and a story to tell. 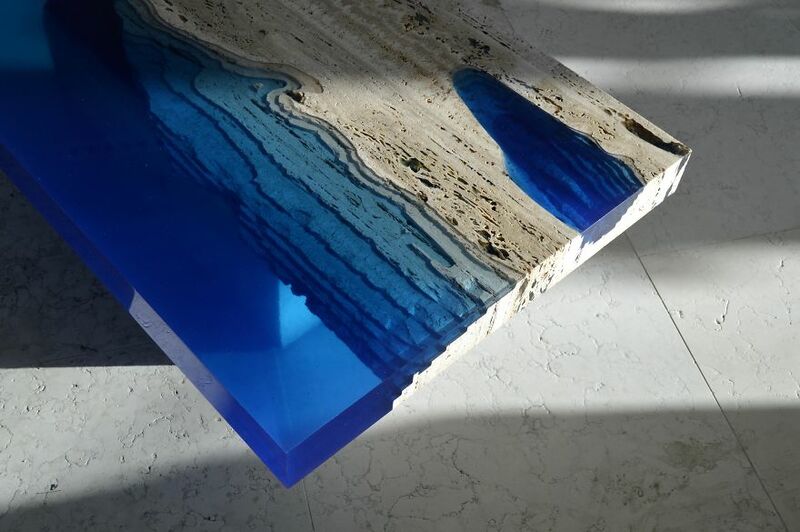 It has to be contemporary by its manufacturing technique and of course, spectacular. 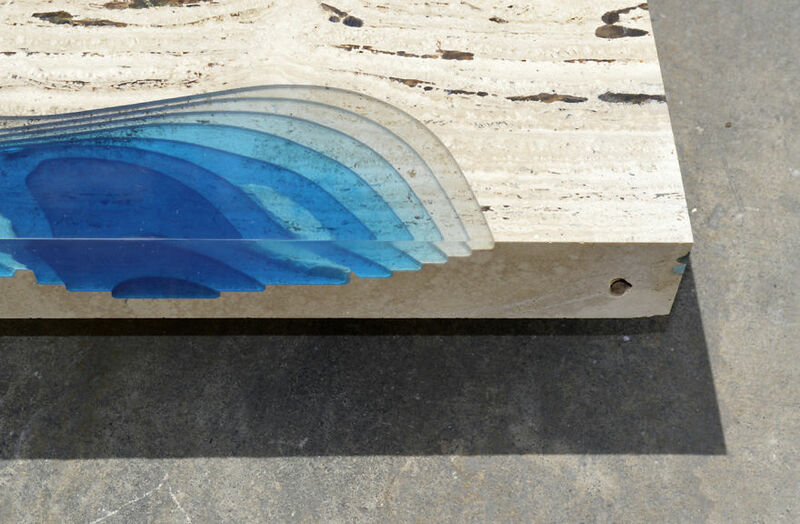 As far as the soul and the story are concerned it is rather simple; we need to collect pieces of wood, old engines, alloys here and there, recycled material. 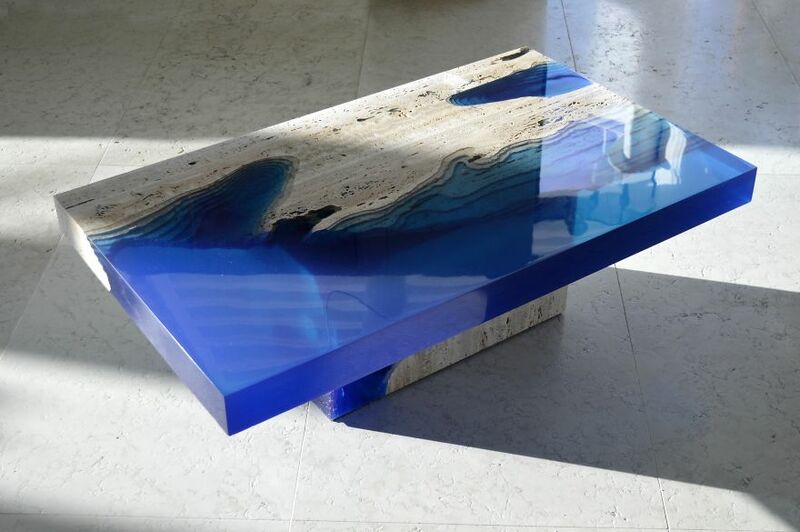 These items must have a vibrant appeal and aesthetically pleasing to the eye,” the creators of the project explain. 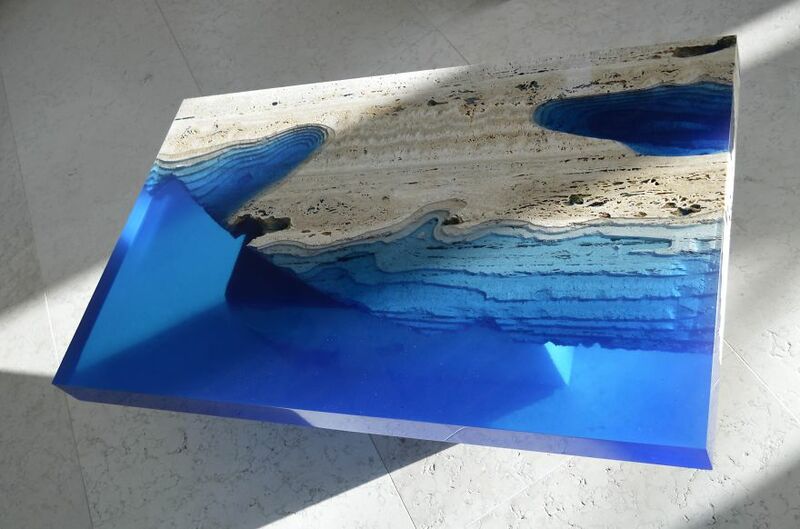 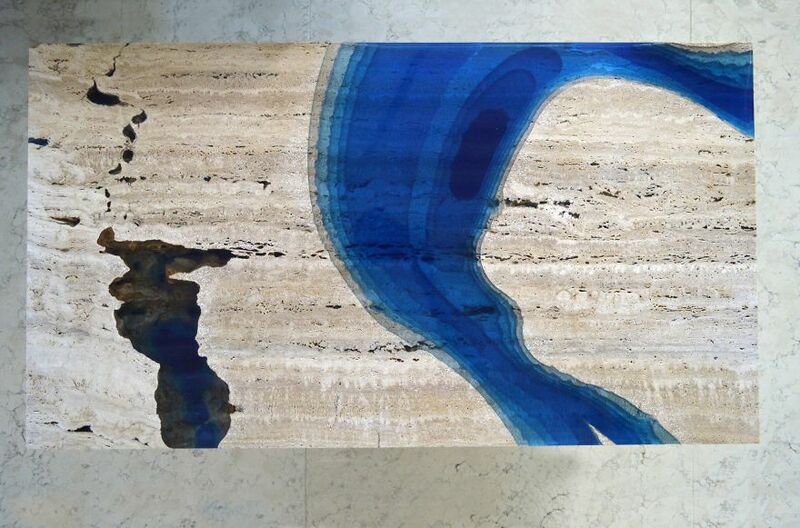 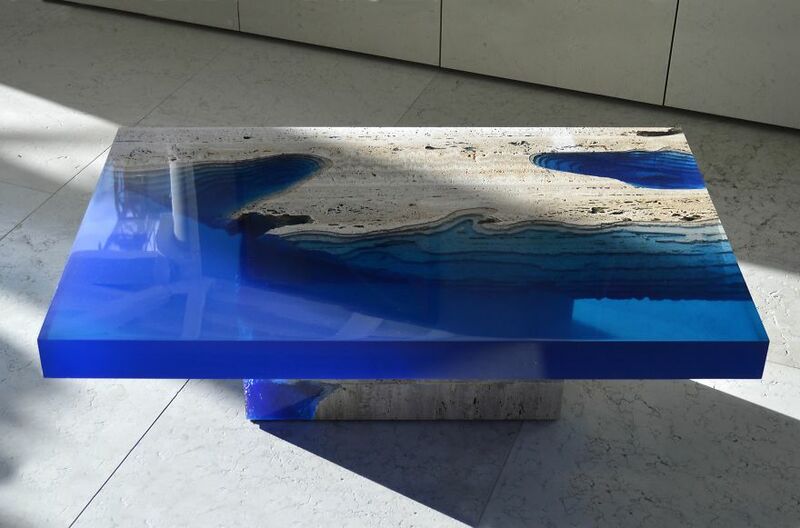 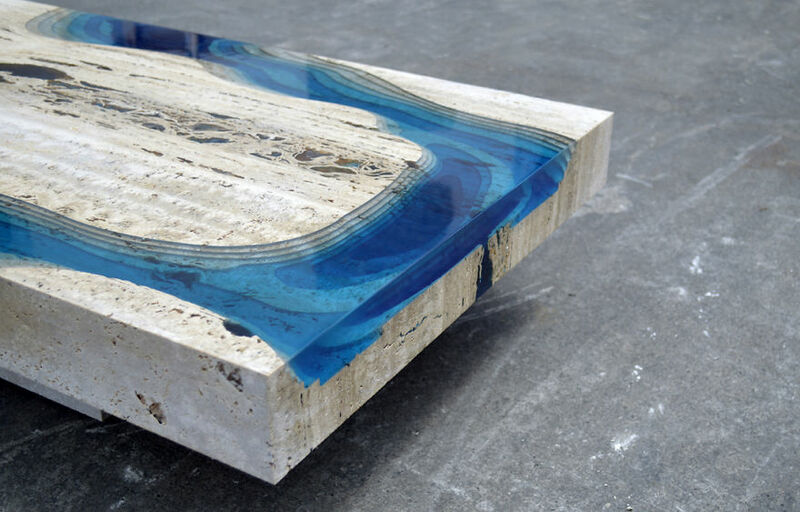 Featured here, the Lagoon tables designed by craftsman Alexandre Chapelin are just stunning: sculpted in Travertine pieces of marble to create the slopes of an ocean or a lagoon, with the addition of resin giving the volume an ocean would represent, these coffee tables are just beautiful, a truly bespoke design for owners that seek uniqueness!